How You Benefit From a Smart Thermostat | Horne Heating and Air Conditioning Inc.
From smartphones to smart light bulbs and smart refrigerators, new gadgets come out every day that claim to make life easier. A smart thermostat is one of those devices that can revolutionize indoor comfort while saving you time and money. It’s time to consider an upgrade from the basic programmable model in your Charlotte, North Carolina, home. Invest in a smart thermostat today, and put control at your fingertips whether you’re across the room or across town. According to the U.S. Department of Energy, if everyone used a smart thermostat, the U.S. would save about 56 trillion BTUs of energy per year. You could cut your heating and cooling costs by as much as 20 percent. Smart thermostats give you many options for managing air conditioning. Choose a model with a mobile app for on-the-go access, so you can make changes or updates to the thermostat’s settings from any location. For example, you could adjust the temperature in your home when heading out for vacation and then change your thermostat back to a comfortable setting before you return. Setting programmable schedules has never been easier. Intuitive controls help you to adjust the programming to fit your individual schedule as often as needed. Additionally, some models remind you about maintenance tasks such as changing the air filters. You can also set schedules based on the activities of various persons in your home. Some models offer weekday and weekend settings. Advanced devices can even learn your behavior and make automatic adjustments. Another great feature of smart thermostats is the ability to monitor your home’s heating and cooling energy consumption. You get reports that you can use to assess energy usage over time, so you can make adjustments to save energy. 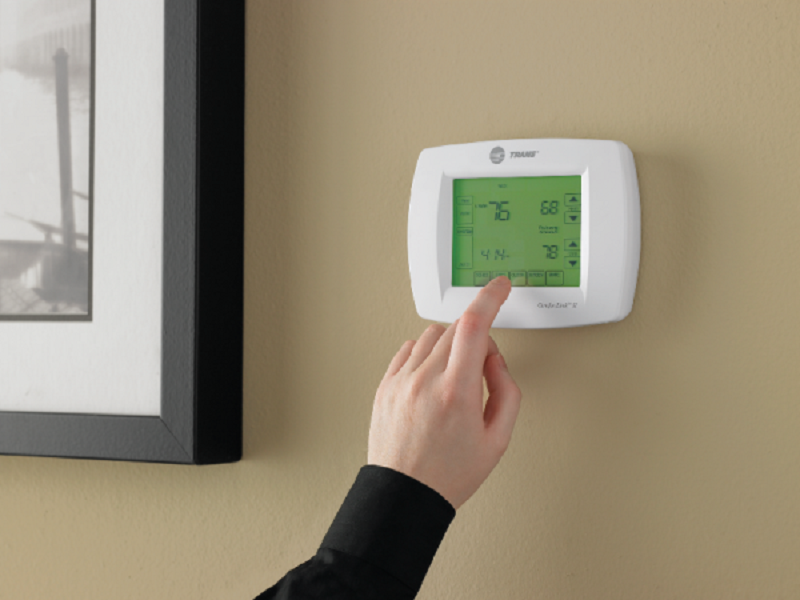 To learn more about our smart thermostat options, contact Horne Heating and Air Conditioning today at (704) 393-3273. Get a consultation today or schedule an appointment for installation. We make heating and air conditioning simple.